Organizations from California, Texas, Washington, Michigan, New York and Massachusetts will gather this fall at Camp Sullivan to share, listen and learn from each other at the Outdoors Empowered Network's 3rd annual National Summit. Building on our work at the 2015 Summit, it is time to further solidify our Network! Join your community of peers in Chicago, IL as we connect and learn, share information, build best practices, hike, work together and play together, we'll break bread and dig deep on the programs and practices that you deliver everyday. Together, we are building community capacity to connect ALL young people to nature. This year's summit will focus on topics that are specific to the Network and Network Member operations. 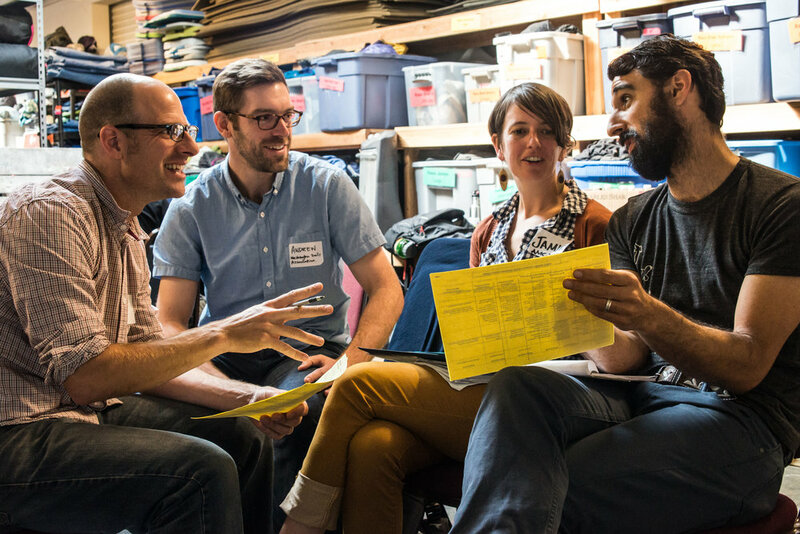 Course Curricula: From day hiking to multi-day backpacking courses, Network Member Programs are using scenarios, direct instruction, team building, debriefs and more. Sessions will address a number of curricula questions in order to illuminate best practices and allow participants to maximize learning others in the field. Metrics and Measurement: As an extension of work that's been done by the Established Programs Committee, we will discuss which particular data points are most critical for Member Programs to track, the implications of the trends, and support each other in using data to both improve our work and tell our stories most powerfully. Gear Management: Bay Area Wilderness Training is just beginning the process of testing and implementing MyTurn - a lending library software platform that has everything we'll need to increase efficiency for program staff and Gear Library users. Our goal is to roll out a plan for you to implement (as you are ready) the software to provide real-time gear availability information to your users. Best Practices: It is time we begin to forge best practices as a network. Types and length of courses, goals, shared learning modules and pedagogy will all be explored. OEN's Strategy and Growth: We are the Network, and as such, we'll discuss our strategic plan and its implications regarding the support we're able to provide, what's next in terms of our plan for new members and how we best work together to make sure that everyone benefits from being part of our national level community. Your input is invaluable...you ARE the Network! One ticket to the National Summit Special Reception on Friday evening 11/4 featuring Forest Preserve District of Cook County President and outdoor recreation/education champion Toni Preckwinkle.